In which we mention the recent Alpha, gush about Community Design its problems and gains. Talk about whats coming for Plasma Next AND hand out freebee's - also we confess to have done something bad and say "sorry". 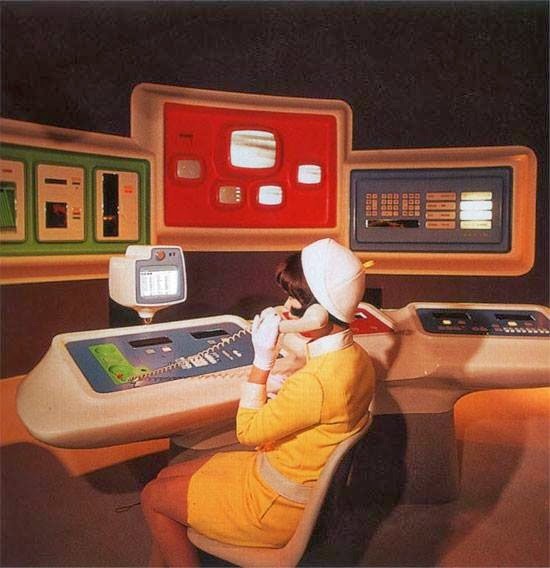 "Hello, this is the Future. I just called to say we're coming." Ok so first off the Alpha is out as I'm sure most of you have seen. This means that time is running up and this summer will definitely be the baptism of fire for this "Community Design" thing we got going. This whole process has been mostly pain-free up until now so I would like to take a moment to get you all in on the trials to come. The first issue is marketing. Community Design, when everything happens in the open, is not as easily marketed as Closed Design. There is no "Big Reveal" with a ton of features and looks you've never seen before because you've seen the process from scratch. Sure there are some secret projects, but they are moving towards an open situation as we speak. Second is name recognition: we don't have massively famous designers that we can refer to - we have community members all as relevant as anyone else on the project. Third, when there isn't a dedicated team progress can be jumpy. It can be at a standstill at times and it can move at the speed of light at others. It all depends on how much community members wish to concentrate on any one issue. Now at one point EVERYTHING will be handled by the community with Community Organizers handling different sections and a Project Lead to pick up eventual slack. There will be a list or a roster where you sign up who's doing what without being binding (meaning if you suddenly don't have time there should never be any shame in saying "You know I can't do it now sorry") - until then this half-and-half will do. We need to spread the burden around. Second Open Source works magic - but design in Open Source is still closed. Why have a handful of experts when you can have hundreds of designers who can do it in cooperation and passion. Why hold yourself back? Thirdly if there is anything my art-history studies teaches me is that art, design and all has often been tied in with an elite. With that it becomes stagnant until it is broken free and opened to a larger community. Design has to be done something common - something we are all allowed to do. But what about Plasma Next? Well let me tell you! We're trying to figure out how to get a new widget theme into the next version of Plasma (widget themes are a PITA) and that's puttering along. The Plasma Theme is all on and will be compliant with the color theme chosen. Icons are puttering along and will hopefully be up somewhere around summer. 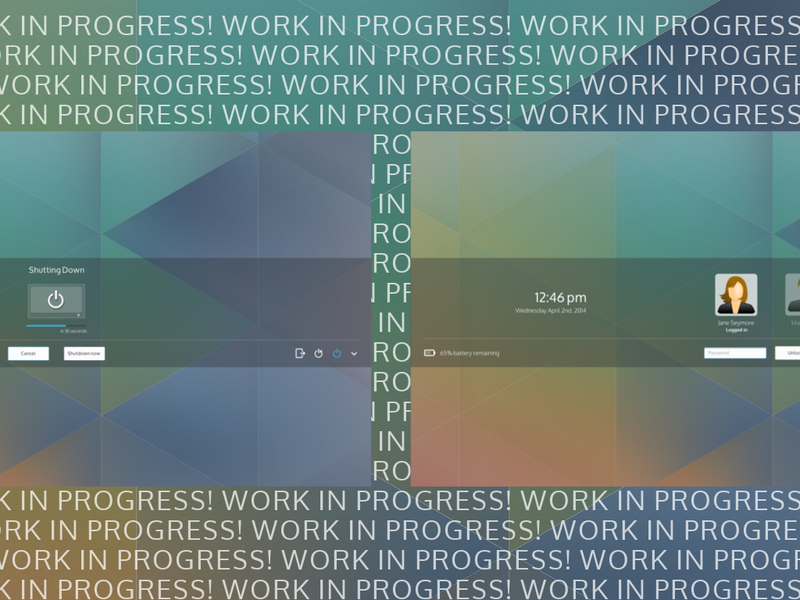 Hopefully widgets and window decos will come in time for the next version of Plasma. There is also two new cursor themes! It's made by the VDG Community members, Kver's Bridge (and Snowbridge) Cursor and Sir_Herrbatka's Perspective. Both are hoped to be included in Plasma Next as they follow two different goals for the design (one using Oxygen as starting point and one going for clarity). This is also another moment to talk about the awesomeness of Community Design! LegnaVI and Leroux helped out with both, Flying Sheep helped Kver with Bugfixing and the whole process was one of amazing cooperation and support. I can only be impressed as hell at everyones (there where more) work! You can download Bridge here and Perspective from KDE look here! Also this is my moment to say sorry for screwing up the landing in the thread when I couldn't find the Perspective image AND failed to see that Andrew was supposed to do the presentation... Sorry guys and especially Sir_Herrbatka who has all right to feel a bit angry at me. Wont happen again. You can read their awesomeness and my bumbling mistake here! Oh but there is more! Andrew has started work on new logout dialogues and David (one of the Plasma Dev's) have started working on it.... iiiih! "Teh Exitez!" as the kids say these days (darn kids)! Yes it is awesome & yes it will be brilliant! Further a new thread for wallpapers has opened up (because we need to look at more wallpapers and I can only urge everyone to join in AND we're gonna start working on a new Splash screen! Ooooooh the future is so bright I am getting third degree burns! Talk later gotta work now! This pleases my eyes immensely. I prefer the old cursor theme, but it's not a problem if it's the default as Plasma lets you use any theme you wish. As long as the old style remains a choice I don't care what the default is. My favorite look and feel is glowing and glassy. Bridge is nice but very similar to Oxygen Zion--not a bad thing. Not a huge fan of Perspective though--the cursors look too chunky, a bad thing for a cursor! YO GUYS i'm goin to cry 'couse of your amazing work. I can't wait june.